"I always dreamed of going to the Olympics and being competitive and becoming one of the best women in the world... but now that I've won a medal at the World Championships and I've run the half marathon that I've run, it's kind of opened my mind to anything is possible. I believe I can get back there... My goals are bigger. I want another medal. I want American records and I want things that before that I wanted but they seemed a little out of reach." -Kara Goucher at her Millrose Press Conference where she indicated she may run the marathon this year. LetsRun.com Coverage: Kara Running the Marathon? Last year after her incredible half marathon victory over Paula Radcliffe , Kara Goucher did not sound like a marathoner in the waiting. 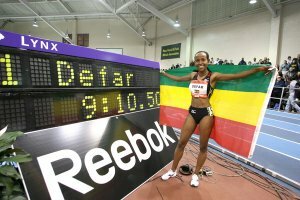 The winter months have apparently changed her thinking, as both her and Alberto Salazar seem to want her to run a marathon in NY this November. 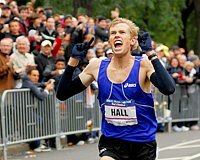 LetsRun.com story, with photos and video. The highlight of the Millrose Games is usually the Wanamaker mile. Bernard Lagat and Craig Mottram thrilled fans last year and are back this year to do the same. 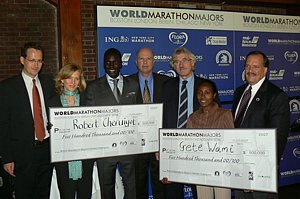 Lagat talks about his medical problems last year, going for Wanamaker mile #6, and the political violence in Kenya. 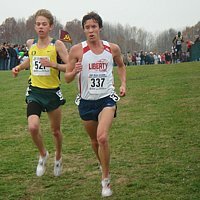 Photos, LetsRun.com coverage, and video.